I had so much fun creating these Free SVGs for Teacher Appreciation and I’m excited to share them with you. You’ll find the freebies and gift ideas below. I get these blocks of time where I work on new designs and then somehow life takes over and they sit on my thumb drive until the moment has passed. That’s exactly what happened with this new set of cut files. I designed these last year and just never got around to blogging about them. When the mood strikes and I’m brainstorming ideas for new creations I remember that I had all these fun SVGs for teacher appreciation that I never shared. Lucky for you they are finally in the shop and you can grab one or two or all of these free SVGs for Teacher Appreciation. This set of designs includes 6 fun phrases to use to create some fun gifts for Teacher Appreciation Day. I always have one or two favorites for every set of SVGs that I create and this first one is my favorite. Although that “Teacher? 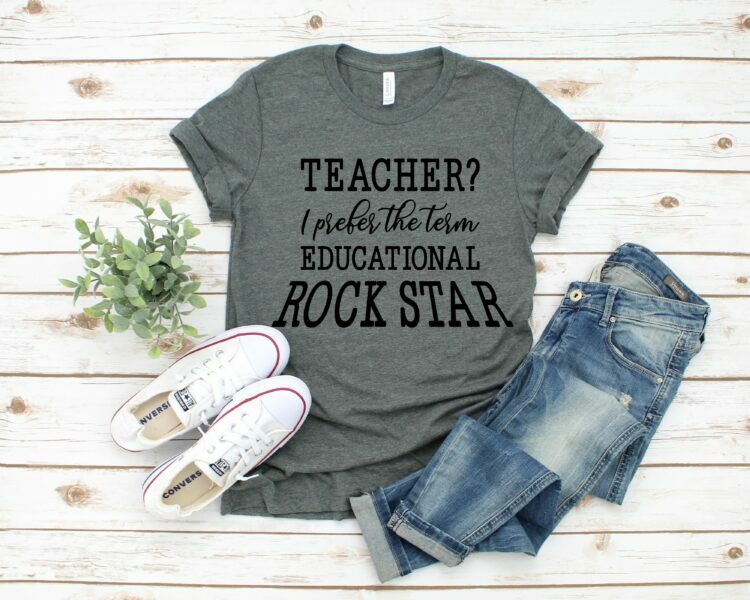 I prefer the term educational rock star” quote is my favorite, I have a feeling that this next one will be every teachers favorite. After working in an elementary school for almost an entire school year I can personally testify that many teachers drink coffee. 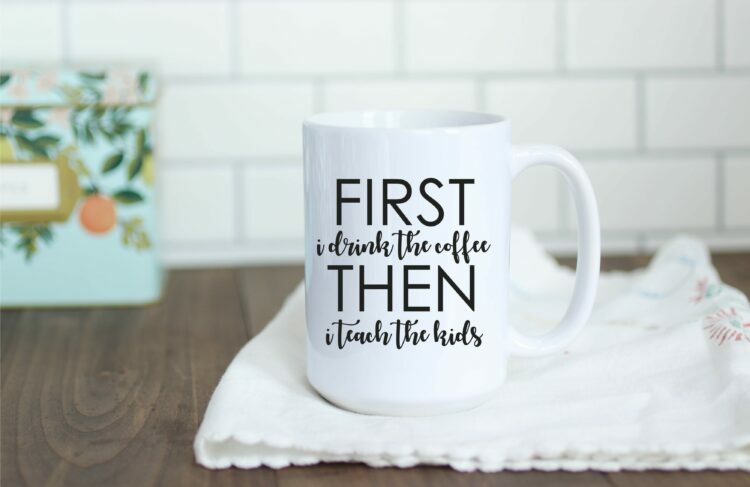 So this “First I Drink the Coffee, Then I Teach the Kids” SVG is sure to be a teacher favorite. I work part time in an elementary school and I’ve learned these 3 important things about teachers: Coffee is life; Wearing comfy clothes is a must; Almost everyone has a tote bag. Lucky for you all of these designs would look great on a mug, a shirt and a bag. The sky really is the limit but these are just a few ideas to get you going. 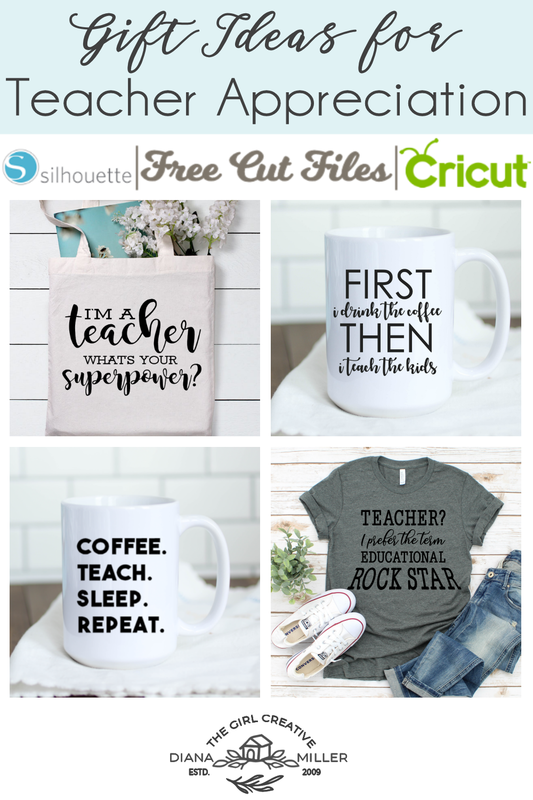 If you don’t have a Silhouette Cameo or a Cricut you can still take advantage of these teacher appreciation svgs by printing out the PDF version. From there you can grab a cheap frame and frame the print. I’m a teacher, what’s your superpower? | Coffee. Teach. Sleep. Repeat. You can download each one individually for FREE for personal use by clicking the links below and adding them to your shopping cart. DOWNLOAD I’m a teacher, what’s your superpower? DOWNLOAD Coffee. Teach. Sleep. Repeat. If you have more of the “ain’t nobody got time for that” mindset, you can purchase the entire bundle in one easy download for just $3.00 and that includes the commercial use license. Totally up to you! 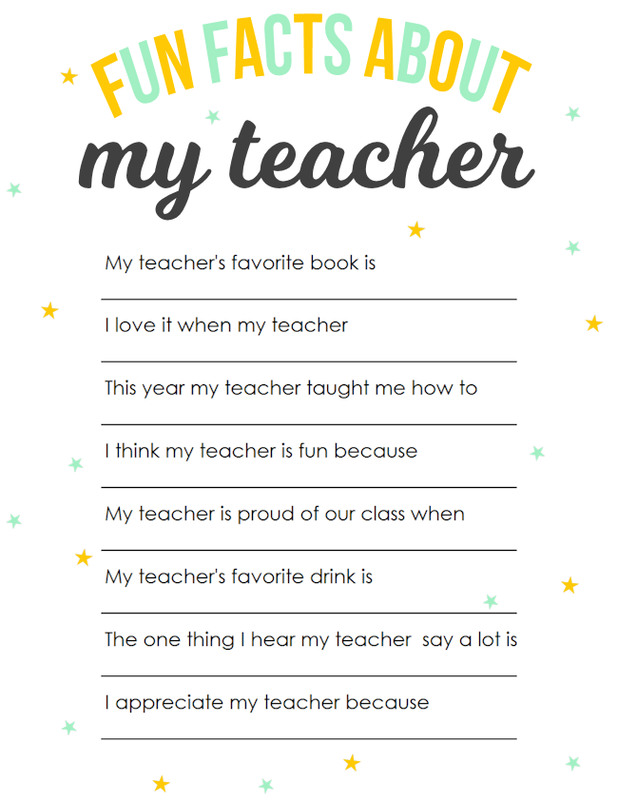 If you love these designs, then I know you’ll love this Fun Facts About My Teacher Printable Questionnaire! 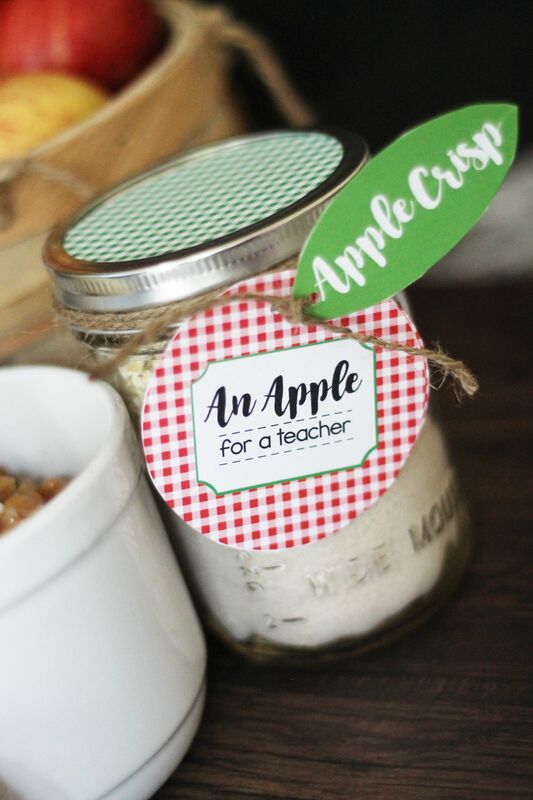 Another great Teacher Appreciation Gift Idea is this Apple for a Teacher Jar! Yum!